Last week I managed to finish another great looking pair of socks - I'm calling them the "Purple Pinstripe Knock-Offs"... since they're similar to the "Pinstripe" free pattern on Ravelry. 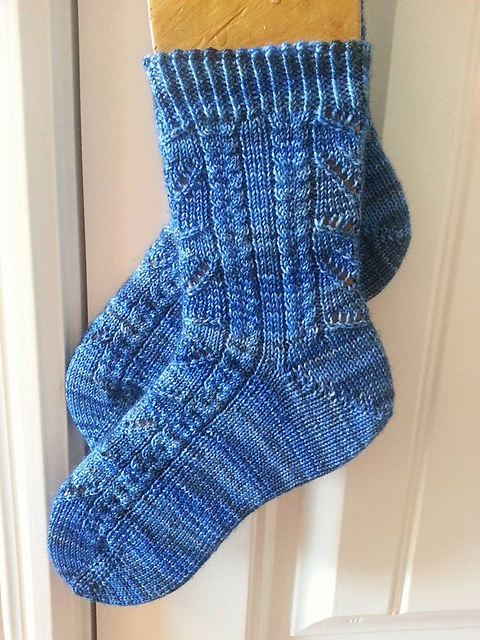 I haven't actually looked at the pattern, but saw many many of them go by in the Addicted to Sock Knitting group on Facebook in the last few months. I had planned on just doing these ones plain, but then when it came time to switch from Ribbing to the leg I thought - what the Heck! Be adventurous, and decided to throw in a column of slipped stitches for fun. I'm not sure if it's the way the Pinstripe Pattern did it, but I do like the way it looks! - Composed on the fly... 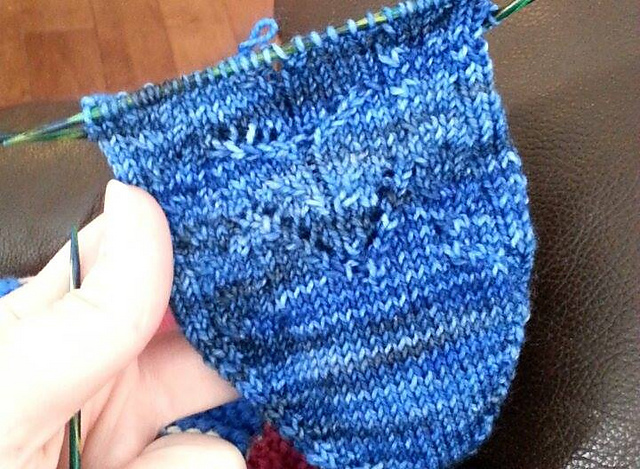 Twisted Rib 1x1 Cuff, Slipped-stitch column every 8 stitches around, Simple Slipped-stitch Gusset Heel. Sock Knitting Challenge - Pair 3! I'm a little bit behind in posting my February socks for my self imposed Sock Knitting Challenge (to knit at least 12 pairs of socks in 2015!). I could blame it on the kiddos... but that's a little lame, right? Sleep is for the weak... right? zzzzzz. There was a time in my life where I could polish off an entire pair of socks in a week. This time, I was doing well to do the pair in the 28 day month. I honestly just barely squeaked it. 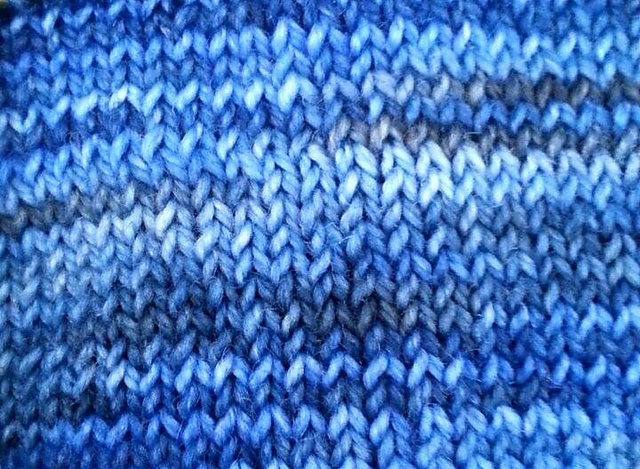 The yarn I chose is KnitPicks Hawthorne... in a nice blue variegated. I seem to have thrown out the ball band. Woops! I can`t remember what the colorway is and a lot of the blue and purple ones are similar. I hadn`t used this yarn before, and found it to be ok to work with, though I found it to be a little splittier than Stroll. I will definitely try it again though for it`s great shimmery, non pooling, rich colors! Pair Three Success! Onto March... and Pair Four!